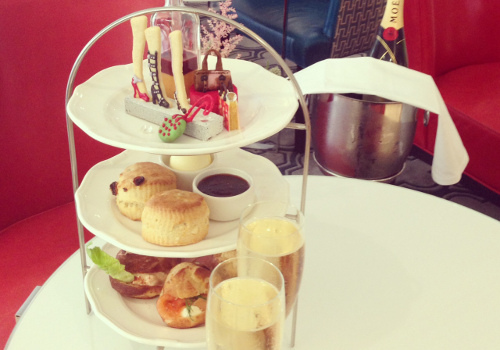 Enjoy London Fashion Week in true style with Afternoon Tea at The Ampersand Hotel. With deep sofas and studded armchairs, scarlet velvets, and kingfisher blues, The Drawing Rooms is where English heritage meets the 'salon de thé' - the whole instilled with a contemporary Ampersand feel. London Fashion Week Afternoon Tea at The Ampersand Hotel is available from the 13th until the 22nd of September 2013.